WASHINGTON – Every calendar in Anne Gabriellini’s Surprise house was marked for Oct. 1, but not to signify a birthday, anniversary or important doctor’s appointment. The Gabriellinis were determined not to miss the new FAFSA start date. They were not alone. A Cronkite News analysis of federal data shows more than 21,000 Arizona high school seniors had completed Free Application for Federal Student Aid by Jan. 20, compared to fewer than 6,100 at the same time last year. Before this year, families had to wait until Jan. 1 then rush to file in hopes of getting to be first in line for student aid. The new rules also allowed families to use income from last year’s tax returns instead of trying to juggle their FAFSA and IRS forms at the first of the year. Gabriellini said completing the FAFSA this time around was “simple” compared to the stress of the previous year because the system this year just transferred the family’s 2015 tax information from the application the year before. A statement from Arizona State University officials said that timeliness can play a factor in receiving available student aid. The Cronkite News analysis was based on data from the U.S. Department of Education’s Federal Student Aid office, on the number of FAFSAs completed by students at 445 Arizona high schools. Exact numbers were not available because the data do not give a number for schools with five or fewer students filling out the form. But the data did show a range of 5,103 and 6,051 high school seniors who completed the forms by Jan. 20 last year, compared to 21,032 to 21,540 this year. 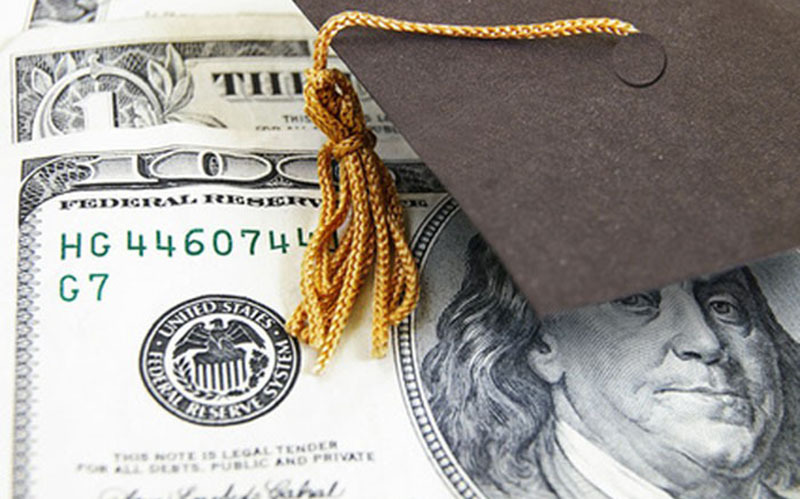 This year’s numbers are already closing in on the total for the last school year, when somewhere between 28,379 and 28,607 applications were completed by Arizona high school seniors looking to receive financial aid for the fall 2016 semester. A Department of Education spokesman said Arizona is not alone in its rush to the new application, although nationwide numbers were not readily available. Like ASU, many universities encouraged students to submit their FAFSAs as close to the Jan. 1 opening date as possible. But with federal taxes not due until April 15, many people would submit the FAFSA using estimated income numbers, then go back in and correct any discrepancies in their application after filing their taxes. The new date allows students and parents to use the tax information they finalized at least six months earlier to complete their FAFSA, and in turn, should not require estimation or corrections. “It streamlines the application process,” Levy said.